The charger has patented IntelliPort Technology, which protects battery cells, maximizes battery life, and conserves energy so well it earned an ENERGY STAR rating. The diagnostic read-out provides charging status and even lets you know if the battery is too hot or cold to charge. 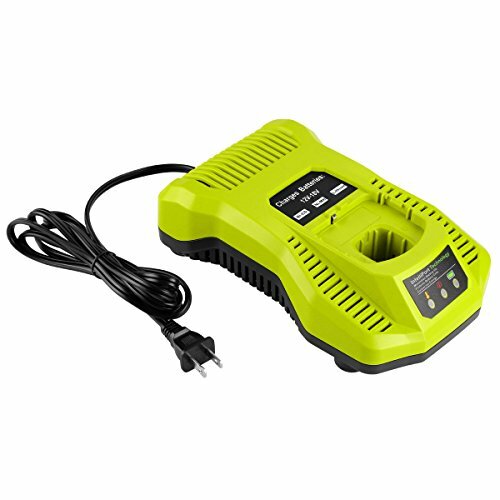 Dual chemistry charger charges all Ryobi ONE+ batteries and support quick charging, Brand new condition. 40 days money back, 18 months warranty. 24*7 hours prompt customer service. If you have any questions about this product by Powilling, contact us by completing and submitting the form below. If you are looking for a specif part number, please include it with your message.